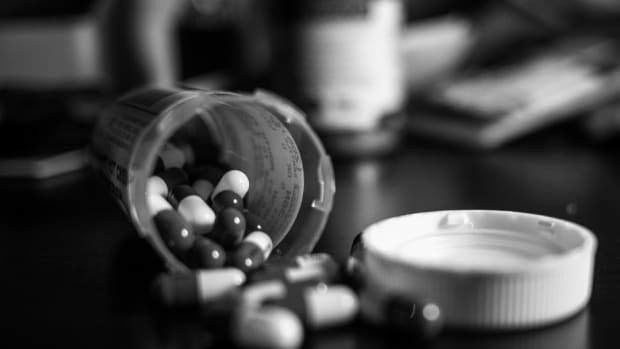 Why Doesn’t America’s Big Opioid Bill Address HIV and Hepatitis C? 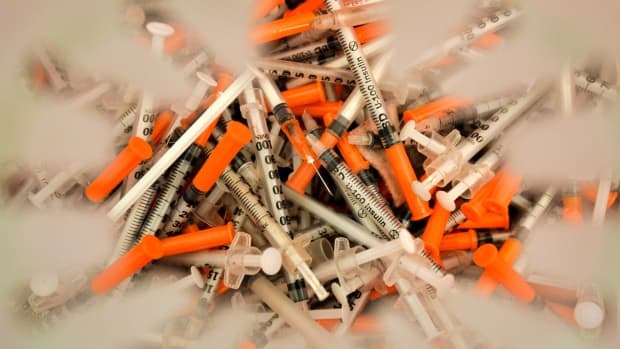 The bill avoids mentioning needle exchanges, a historically controversial policy—but even some conservative politicians have recently changed their minds about such programs. In assessing America’s big opioid-addiction act last week, we noticed one major omission: The bill never mentions programs that slow the spread of hepatitis B, hepatitis C, HIV, and other infections from dirty needles. 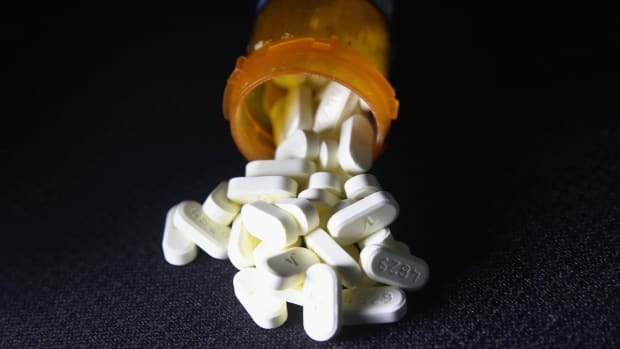 The Comprehensive Addiction and Recovery Act of 2016 aims at reducing overdoses and deaths, but those represent only part of the toll wrought by addictions to heroin and prescription painkillers. In the last few years, the Centers for Disease Control and Prevention has recorded increasing numbers of young Americans getting infected with hepatitis viruses from sharing needles while shooting up. The Indiana State Department of Health diagnosed 135 people with HIV in a span of three months in 2015 — all in the town of Austin, population 4,200. Bans on needle exchanges ignore the science. Why would lawmakers neglect such an important topic? One possibility is that a major way groups try to cut HIV and hepatitis infection rates is controversial: by giving out clean syringes and needles. Congress banned federal funding from going toward so-called needle exchanges in 1988, at the height of the AIDS epidemic; lifted the ban in 2009; reinstated it in 2011; and then re-lifted it again earlier this year. Many conservative politicians oppose needle exchanges, claiming they set a bad example and enable a deadly habit. Other conservatives, however, have recently changed their minds. Bans on needle exchanges ignore the science. The World Health Organization concluded in 2004 that, although the evidence isn’t perfect, it’s enough to act. 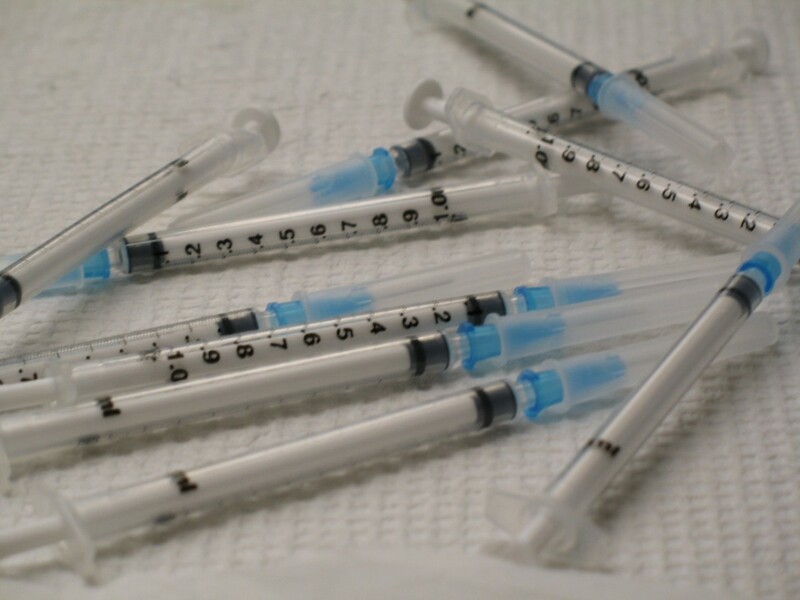 In a technical paper and policy brief, the organization declared, “There is compelling evidence that increasing the availability and utilization of sterile injecting equipment by [injection drug users] reduces HIV infection substantially” and “there is no convincing evidence of any major, unintended negative consequences.” According to the WHO, needle exchanges are “essential components” to HIV/AIDS prevention programs. The evidence on whether needle exchanges prevent hepatitis C infections is more mixed, with some studies showing improvement and some studies showing no effect. At the very least, needle exchanges don’t seem to increase injection-drug use. Indiana Governor Mike Pence, Donald Trump’s vice-presidential pick, has addressed this debate head on. Historically, Pence has opposed a statewide needle exchange program, the Indy Star reports. Around the time of the Austin HIV crisis, however, Pence authorized a 30-day program there. 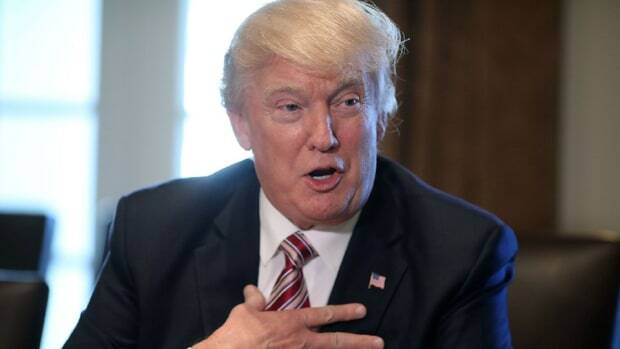 “I’m going to put the lives of the people of Indiana first,” he told the New York Times. That was in the spring of 2015. This June, the Indy Star reported five Indiana counties had received approval to open needle exchanges. The Senate Approved a Huge Opioid Bill, but Will It Work? Hepatitis C kills more Americans every year than measles or AIDS. Many states' laws aren't helping to mitigate the disease, a new analysis finds. 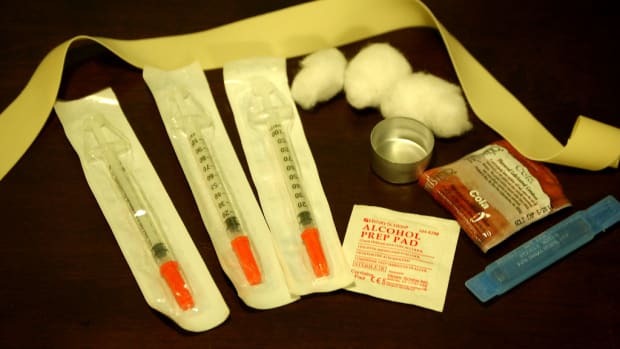 Political opposition to needle exchanges, reproductive health services, and other public health fixtures has helped create an outbreak in Scott County, Indiana.